After a streak of bleak weather, sunlight can feel like just what the doctor ordered. Regulating sleep, stimulating vitamin D and feeling generally happier are just some of the ways that daylight boosts your wellbeing – not to mention all the fun activities that come with warmer weather. Like many other activities, sun exposure is recommended in moderation. Too much time in the sun can lead to wrinkles, age spots and skin cancer. Day after day, sun exposure adds up. So, even if you don’t experience an awful burn, the damage is still being done. In spite of the benefits, many physicians will recommend you receive vitamin D primarily from your diet rather than the sun to avoid potential harm. So how can you balance beneficial time outside with the care to keep your skin safe? Antioxidants in fruits and vegetables can reduce some of the harmful effects of too much sun, but the best plan of attack is sunscreen, shade and long sleeves. Sunscreen is your best friend in your quest for safe sun time, but it’s also only a filter. 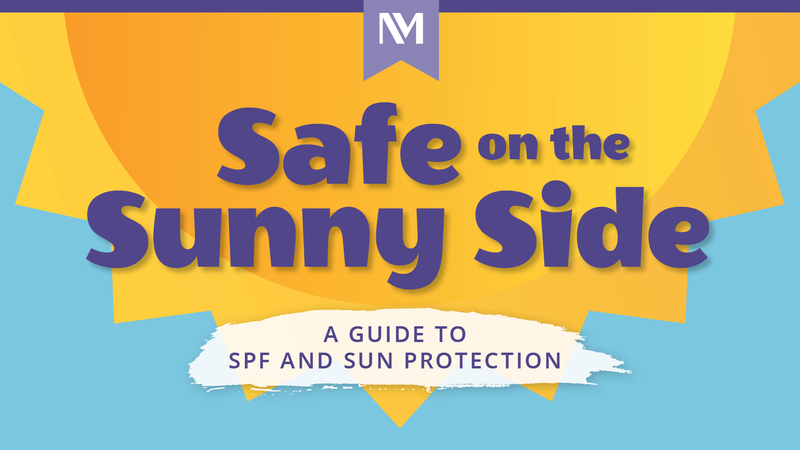 Sunscreen can protect against UVB rays, and sometimes UVA rays, but it’s not a pass to spend all day in the sun. Sunscreen should be applied at least every two hours, and more frequently if sweating or swimming. While sunless tanning products can give you color, most do not contain any protective properties. Sunscreen should be applied 30 minutes before sun exposure to allow time for it to fully bind to skin. SPF – sun protection factor – refers to the level of protection against UVB rays and while a higher number means greater protection, the difference is ultimately rather small – SPF 15 filters out 93% of UVB rays, SPF 30 blocks 97% and SPF 50 shields 98%. Due to the small differences in protection, the frequency you apply sunscreen is more important than the SPF. “Broad-spectrum” means sunscreen is tested to protect against both UVB and UVA rays. “Water resistant” means sunscreen is tested to protect up to 40 minutes of swimming or sweating; “very water resistant” sunscreen is proven to protect for 80 minutes. Even with sunscreen, you should take breaks and plan your time in the sun strategically. The sun is most intense between 10am and 4pm, so if you’re anticipating a beach day, come early and leave by noon, or arrive around 2pm and stay until sunset. Besides, you can’t beat that view! Keep in mind, UV rays can pass through windows as well as water and sand. Water and snow will reflect and intensify sunlight. When weather permits, protect yourself with long sleeves and dark colors in tightly woven fabrics. Hats are essential, and your best bet is something with a 2-3 inch brim to protect ears, eyes, forehead, nose and scalp. Sunglasses complete your protective look – invest in a pair that blocks 99-100 percent of UVA and UVB ratings. Be sure to check the label because UV protection comes from an invisible chemical and not the darkness of the lens. Plan your time in the sun strategically: The sun is most intense between 10am and 4pm. Sunbathers aren’t the only ones at risk for skin damage. While sunny days can inspire us to get out and get active, proper protection from UV rays means the only thing burning is our muscles. Running: Go for protective SPF clothing if you’re serious about running in the sun. Sweat resistant sunscreen can certainly help, but you can run assured with full body coverage. Sailing: Water will increase already intense UV exposure during a day out sailing. Frequent and liberal sunscreen application is essential, and a hooded sweatshirt or rain gear won’t hurt either. Many sailors opt for physical sunscreen with minerals like zinc oxide that will block rather than chemically absorb UV rays. Tennis: Physical sunscreen is popular for tennis players too, particularly because over-the-counter pain relievers for sore muscles can make skin extra sensitive to sun damage. Golf: Reflective ponds, sand traps and a lack of shade can increase UV exposure, so reapply sunscreen frequently and wear a hat. But remember: A baseball cap won’t protect your neck or shoulders, so either coat well with sunscreen or pick a full coverage hat. Proper skin care in the sun is important wherever you are, particularly given the additive nature of sun damage, but most people raise their risk on vacation . Be sure to pack lots of sunscreen as well as your own lotion, facial cleanser and moisturizer to keep up your healthy routine. Travel can also dry out your skin, making sun damage more likely. 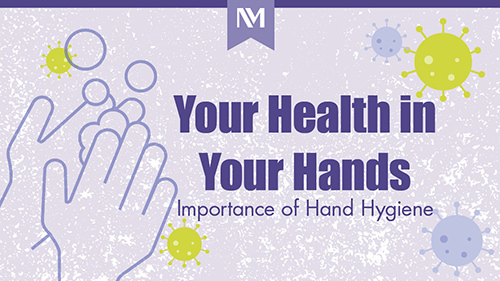 Give it some time before hitting the beach or pool when you arrive and hydrate heavily.